Top 5 off-season training tips from Sarah Barber. 1) Avoid the super long trainer ride: There's really no reason to ride your trainer for more than 2 hours in one day. If you think you "need" a longer endurance experience, then do some other type of activity such as hiking, snow-shoeing, or skate-skiing as part of your workout. Then finish up with your trainer time for the neuromuscular effect. Your heart and lungs don't know the difference! 2) Avoid the early peak: Resist the temptation to be super fit in February. The season is long. Peaking in February will leave you slow and tired by June. 3) Emphasize a specific discipline: Consider spending 6 weeks emphasizing one of the three disciplines of triathlon more than the other two. If there are indoor swim meets in your area, maybe try swimming more and try a competition. If cross-country running sounds fun, do some of that. 4) Cut yourself some slack: Interpret that in whatever way you want, but remember that being super disciplined year-round is incredibly difficult and will inevitably lead to some sort of catastrophically undisciplined behavior at some point. It's much better in the long run to be balanced and to enjoy things that make you happy (whether it's beer, holiday cookies, couch-surfing in front of football games, etc). 5) Spend some time doing nice things for other people: Let's face it: any sport at a high level is inherently selfish. Triathlon is especially so, because it is time-consuming to train in all three sports. So during the winter, you should have more time because you're training less. Use that time in ways that benefit someone other than yourself (or someone else in addition to yourself)! About Sarah Barber: Sarah enjoys her career as a Life Flight paramedic, as it offers enough variety and excitement to keep her engaged even after over 15 years in pre-hospital medicine. 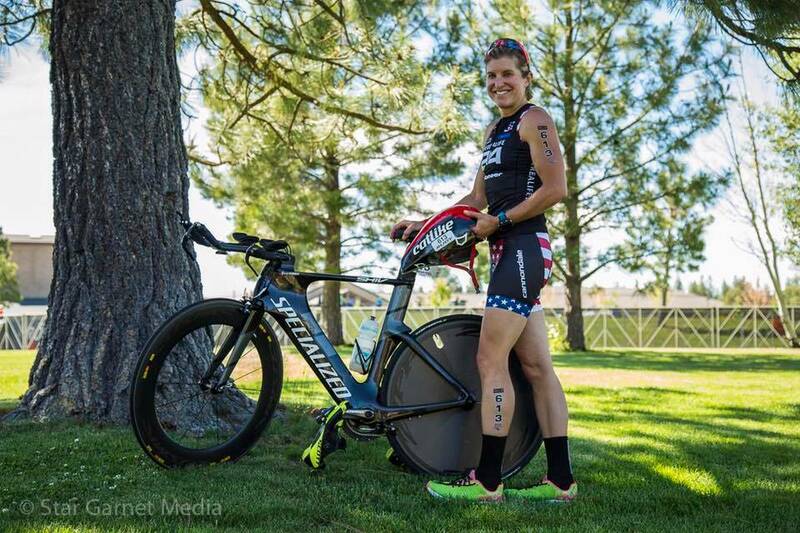 She enjoys multisport training and racing for similar reasons, although she refuses to identify as a "triathlete." If a label is necessary, then "endurance junkie" might be more apt, as Sarah has done everything from mountain bike racing, to running marathons, to Nordic ski racing and more. When she's not flying around in the helicopter, you can find her recreating outdoors, playing with her husband and dogs, or experimenting in the kitchen. Sarah loves living in Boise but doesn't love winter--learning to embrace the elements is on her to-do list before the end of th year. Great article focusing and reminding all of us that we NEED the off-season. To top it off is Sarah's touch on enjoying the Holidays and giving and spending time with others.